Liquid snow solution sold separately. 10.5 x 11 x 20.5" - weighs 30 lbs. Gallon of liquid makes about 1 hour of snow; same amount lasts approx. 40 minutes at 50% output. Creates foam snowflakes that are incredibly realistic; no sticky residue. Works best with height and ventilation. 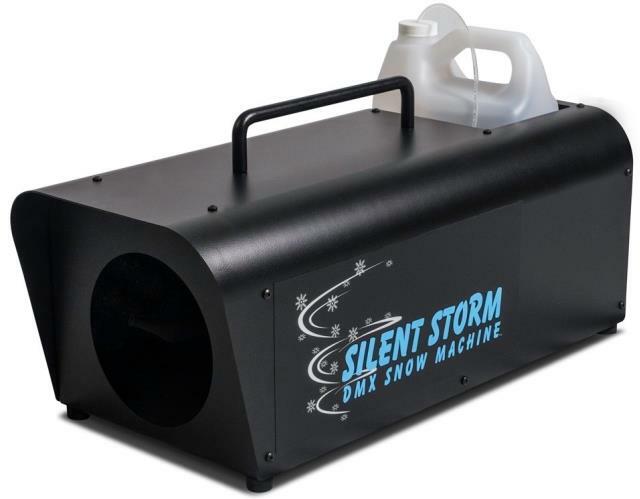 * Please call us for any questions on our snow machine silent storm only rentals in Ft. Wayne IN, Warsaw, Syracuse, Auburn, South Bend, Indianapolis IN.